Argos has come up with a crazy competition they call the Argos Giant Jar Competition. They have gone and stuffed £10,000 worth of products into a giant jar. Go over to the website and check out the 3D version of the jar. 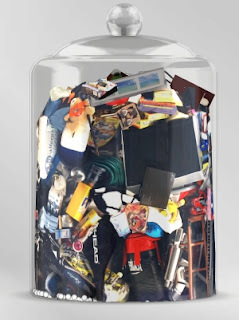 All you have to do is guess how many items are in the giant jar and you stand a chance to win them all. The last date for entries is midnight on 20.12.2007.